Stow Hotel Close to Akron & Cuyahoga Falls Welcomes You Ideally situated between Cleveland and Akron, Ohio the Staybridge Suites Akron - Stow - Cuyahoga Falls features upscale, extended stay accommodations in the Akron area with easy access to nearby attractions and businesses. Our indoor heated pool is the perfect spot to unwind 7am-11pm daily. With over 1,400 sq. ft. of meeting space, free high-speed Internet access and a 24-hour Business Center, we know what you need for an extended stay in the Akron area. Guests of our pet friendly Stow, OH hotel enjoy concerts at the Blossom Music Center, touring Stan Hywet Hall & Gardens and shopping at nearby Mall. The Cuyahoga Valley National Park and Akron Zoo are less than eight miles away. The Brandywine Ski Resorts offer winter fun, 17 miles away. During a visit to the Akron area, hotel guests enjoy spacious suites featuring full kitchens and over-sized work spaces. Free laundry facilities, a well-equipped Fitness Center, an outdoor barbecue pavilion and a convenience store are also provided for your use. All guests of the Staybridge Suites Stow will enjoy our free, breakfast buffet, and may join us for complimentary Evening Social Receptions, Monday - Wednesday evenings. Let us make your extended stay in Stow memorable. 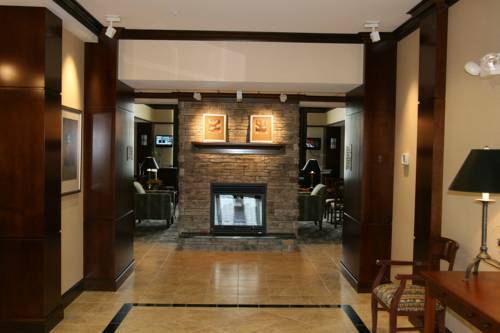 Discover our exceptional Stow, OH hotel rates and make your reservations today. Hotel is 100% smoke free. Meeting Room: Tables and chairs available along with a TV. Small sink and refridgerator in the room. Contains windows for natural lighting and a viewing screen. Snacks, soda, and coffee available for a fee. Guests may cater events in accordance with their contract. Boardroom: Long confernce style table that seats 12 people. Small sink and refridgerator in the meeting room. Also contains windows for natural lighting and a viewing screen. Snacks, soda, and coffee provided for a fee. Outside catering allowed with contract. Aurora Premium OutletsFind impressive savings at Adidas, Ann Taylor, Banana Republic, Bose, Brooks Brothers, Calvin Klein, Coach, Gap Outlet, Justice, Michael Kors, Nike, Nine West, Polo Ralph Lauren, Saks Fifth Avenue Off 5th, Tommy Hilfiger and more. University of AkronThe University of Akron is home to the zips and is located just 10 minutes south of Stow ohio. Stan Hywet Hall & GardensStan Hewitt was home to the once innovator of rubber and tire production in the area. Walk through the halls of the mansion or the never ending plush gardens. Check out their website for event information and tour costs. Sarah's VineyardFeatures a selection of Ohio wines and a small appetizer menu.